Image by tangi_bertin and used under the CC BY 2.0 licence. Cropped to size. Are you a scifi writer? We want to hear from you. We’re putting together our first ever scifi anthology featuring up and coming science fiction writers. The anthology will consist of five authors each with 2600 words to spin one or more amazing tales of space, technology or even dystopian overbearing all-seeing Governments who ‘only have our best interests at heart’. 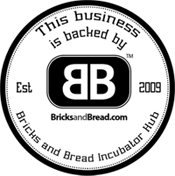 We want to help inspire the next generation of inventors, scientists and entrepreneurs. And we want your help! Here at In Ear we love science fiction. We see reading and listening to scifi as a way of cheating Time and grab a glimpse of possible future technology, issues and even utopian/dystopian societies. It could be argued that science fiction can inspire like no other subject. It places the reader directly into a world that, while having links to the time they live in, is a couple of steps out of reach. They can experience technology far beyond what they are likely to encounter in their lifetimes but also, and maybe most importantly, it can give them an idea of what they want to reach for in life. Would we be in a world of SpaceX, Google self-driving cars, Siri and retroviruses without scifi inspiring the minds of their creators? We’re not so sure. Deadline for submissions is Friday 28 February. Let all your scifi friends know! 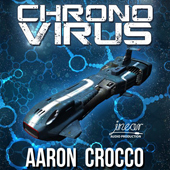 For an example of the type of scifi we love, check out Chrono Virus by Aaron Crocco. We published this audiobook last year and keep coming back to it again and again.